Juan Carlos Varela inaugurated Panama Fest Friday, in New York, an event that seeks to promote the country as a tourist destination. 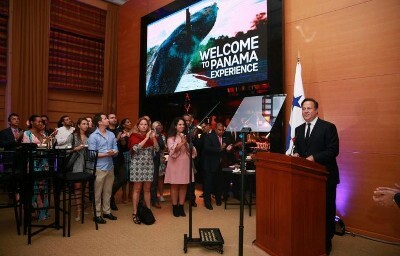 The inaugural event for Panama Fest, was attended by major tour operators, travel agencies, travel magazine publishers, the New York Travelers Writers Association, bankers, incentive house wholesalers and bloggers in the United States. The president of Panama emphasized that his administration is executing a million-dollar investment in the promotion, construction, and remodeling of infrastructures, in order to increase the number of tourists Panama receives. "We are the country of Mariano Rivera, Rod Carew and Roberto Mano de Piedra Durán,” Varela said, “We are the home of the first architectural piece of the Canadian Frank Gehry in Latin America, the Biomuseo, which tells how the isthmus of Panama arose”, the continued. Gustavo Him, the administrator of the ATP, said that Panama Fest is a follow-up to the international tourism campaign, in operation since last year, that promotes Panama’s main tourist attractions using social networks in the United States, Spain and Canada.